Today almost everyone in the business world has already heard about “Blockchain”, “Bitcoin”, and “Ethereum”, wondering how they all work and how companies can take advantage of their integration. 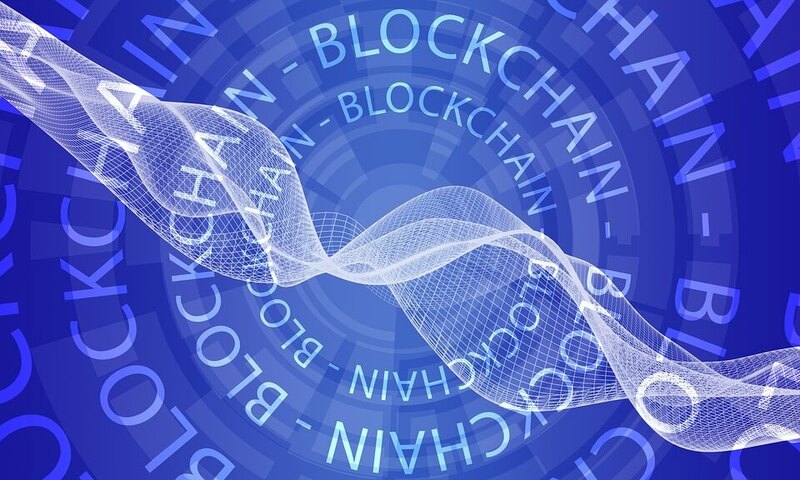 In our blog, we cover various topics about blockchain. In this post, we’ll take a look at another technology, namely Graphene blockchain. Offering a plenty of benefits, it is expected to call a wave in Graphene-based projects. Can it handle thousands of transactions in a wink and move value fast? Can apps be built upon it? Can it potentially change the way we live? Can it call a boom in innovative business models? In the case of Graphene technology, the answer is – yes! Graphene is an open-source blockchain technology, mainly written in C++. Graphene source is available in numerous variations, as it has been forked and adapted a lot of times. There is no other known blockchain like Graphene that can even try to compete in the processing such a high number of transactions this blockchain already can. Although Bitcoin aid the foundation of a new industry, it doesn’t provide so many capabilities. Graphene-based coins can do something Bitcoin was never capable of and will never be. And that is being a real-time value exchange system that will get mass adoption, with great apps build upon it. In any case, old technology is good to learn from. Right now Graphene is able to push over 3000 transactions per second, versus Ethereum, currently at around 25 transactions per second. That means around 190000 transactions per minute. And that is not in the future, it is now! Want to see some bright examples of this top-notch blockchain technology at work? If you are on Steemit, a news aggregation site, and crypto-based platform, you are part of it already. BitShares, a cryptocurrency exchange marketplace, and Steemit came from the same technology base, both originally created by Daniel Larimer and now continued by other motivated and skilled developers. BitShares (the founder of Graphene technology), Steemit, and EOS are three major players who have already taken advantage of the Graphene power. BitShares – a decentralized asset exchange (like the New York Stock Exchange on the blockchain). Steemit – a decentralized social media platform (like Facebook on the blockchain). EOS – a decentralized smart contract platform (like banks, real estate, corporations, small businesses, and more on the blockchain). FollowMyVote.com is another example of a service built on the Graphene blockchain. FollowMyVote uses Graphene technology to facilitate secure, private, internet-based municipal voting. There are many other users of Graphene beyond this list. Why have all of these platforms chosen Graphene? Let’s take a closer look at the advantages of Graphene-based projects. The online community, which contributes valuable information to online social networks deserves rewards and this is the main idea of the Graphene platforms – to reward the individuals being involved in adding value to the social media network. It is intended to encourage more users to come and be part of the social media content monetization. Graphene is able to push over 3000 transactions per second and it can be multiplied many times. During testing, Graphene was able to issue 10682 transactions per second. And founders talk about the possibility of increasing it up to 100000 transactions per second. To compare, the limit of Bitcoin’s capabilities at the moment is up to 7 transactions per second – and payments can sometimes hang for 3-4 days! Thus, today Graphene is the only blockchain-system with a high level of productivity, enough for the smooth work of large social-economic platforms. A new block is formed every 3 seconds, unlike Bitcoin with 10 minutes. The Graphene platform supports payments with zero commission. Users can transfer coins from one account to another absolutely free of charge. Using the Delegated PoS algorithm instead of PoW. The possibility of receiving a reward not only by the miners but also by other active members of the system. Creators, remitters, curators, shoppers, market makers, entrepreneurs, merchants, bloggers, referrers, community leaders, and internet leaders amongst many others. The possibility of working with several tokens in one system at once. The possibility of binding the value of the token to another currency, precious metals, etc. If there are several tokens and one tied, for instance, to USD, the internal exchange will always be at the rate of USD. It gives a sense of stability to the token holders. Graphene blockchain technology uses Delegated Proof of Stake (DPoS) strategy for the block validation. To put it in simple words, it is a system that allows each member of the network to vote regardless of the number of coins they hold. There is a certain number of Witnesses (a node in a DPoS Graphene blockchain responsible for the creation of new blocks), usually a small number, who work to mine blocks and control the network. These Witnesses are chosen by voting. Since all votes have equal value, this can be presented as a decentralization of the voting process, that is, it’s not limited to masternode holders like in Proof of Stake consensus, for instance. The necessary changes can occur much more efficiently, as there is a small group of people working to secure the network. In addition, because Witnesses depend on votes, it is in their interest to pay attention to the concerns of the other network members. Hope, the article has been informative to you. If you have some questions or an idea for a Graphene-based project, you’re welcome to apply to us and get a consultation for free! Having high expertise in blockchain development, we are always ready to provide you with meaningful recommendations.